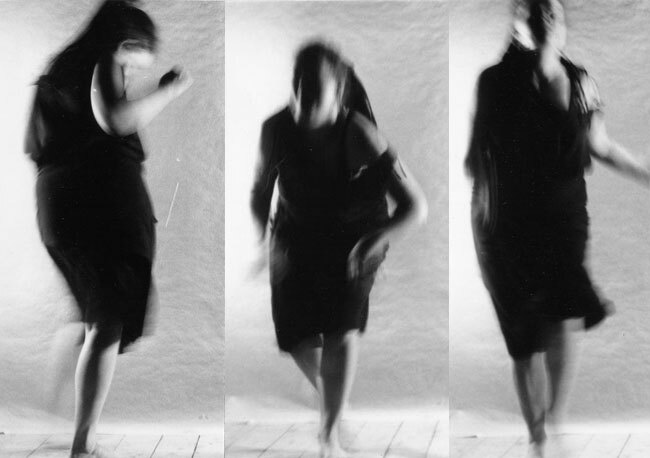 A girl dancing, repeating movements. Two layers of film superimposed and shifting in a complex rhytm, accompanied by an African drum. The making of MENI consisted of an obsessive unraveling of a series of dance movements. The movements were cut into very short fragments (0,5 to 1,5 seconds). These fragments were edited into repeating patterns. Through exchanging fragments and double exposure the film begets an intruiging and complex rhythm.